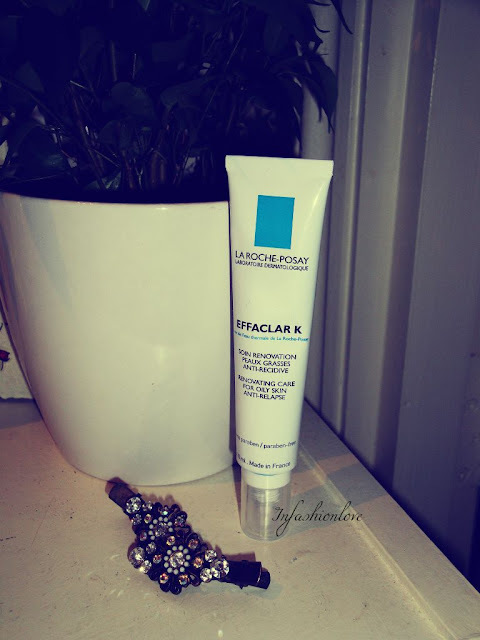 INFASHIONLOVE.COM: La Roche-Posay Effaclar K, Renovating Care for Oily Skin! 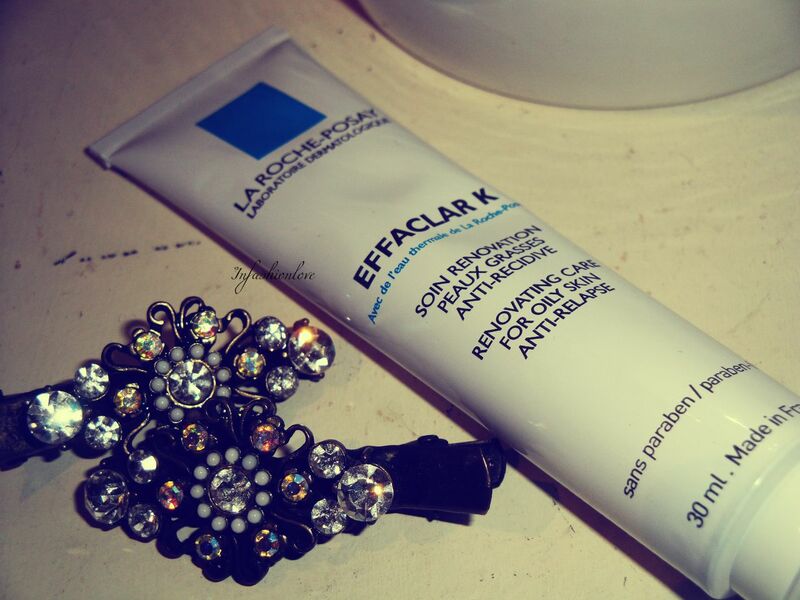 La Roche-Posay Effaclar K, Renovating Care for Oily Skin! It's great because you can use it day and night all over the face, I only use in the morning as a moisturiser and make-up base, which is enough for me... It's fantastic as not many exfoliating creams also moisturise your skin and I certainly need it during winter! I've used Effaclar K for over a week now and can see a big improvement, my skin is visibly clearer and more radiant...The magic ingredient is retinol [a fantastic anti-ageing ingredient]! It's a great exfoliant, LHA combined with retinol helps to protect skin against future relapse, which is awesome! And if you wonder what retinol is: "Derivatives of vitamin A, such as tretinoin and retinol, work to increase cell turnover and exfoliation by stimulating cell production underneath the skin. This process slows down with age, allowing layers of dead, thick, sun damaged skin cells to remain on the surface. As a result - skin looks dull and thick, pores look large and sun-related damage such as age spots and blotchiness appear." LHA is: "Beta-lipohydroxy [LHA] works in a manner similar to salicylic acid in the treatment of acne. It possesses potent comedolytic (ability to unblock pores). And in a study conducted by La Roche Posay, it was shown to decrease the bacterial concentration inside the follicles (area below the pore)." Well I need to get me some of this then :) I'm an oily nightmare! !